The Hay Triangle is a spectacular and challenging three-day fully-serviced and guided trail ride, which takes riders on a triangular route out along the ‘Golden Horseshoe’ of the Black Mountains, up the magical Llanthony Valley, and then on to the fascinating ‘book town’ of Hay-on-Wye. Guests arrive here Tuesday morning, and leave on Thursday afternoon, spending 2 nights away in local inns en-route. Covering longer distances each day than our local trail rides, this ride will suit riders looking for a challenge, offering plenty of fast-paced riding along mountain ridges and down through the valleys, fantastic scenery, and the chance to explore a little further afield. Your luggage is transported by our trusty land-rover to your next stop each night, while the horses spend the night in a field nearby. The trail ride starts with registration at The Blaenau, on Tuesday morning, and finishes after a well-deserved cup of tea and biscuits on Thursday afternoon. 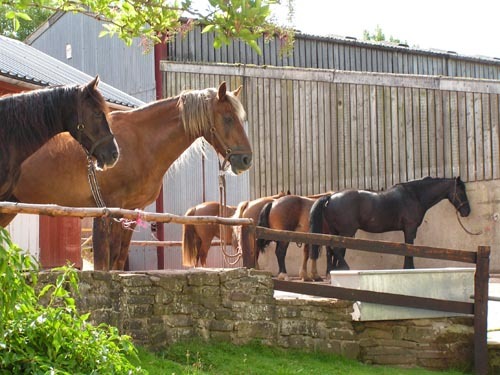 We can recommend some great local B&Bs if you wish to stay the night before or after the trail ride, and sometimes there may also be space at The Blaenau to stay. You may also wish to extend your stay into the weekend. This trail can also be run over a weekend or any dates for a group of between 4 to 8 riders. We are always flexible, so please just let us know your requirements. Suitable for intermediate and experienced riders. Approximately 4-5 hours in the saddle each day. £600 for 3 days, fully inclusive of all meals, accommodation and three days vehicle-supported trail riding. 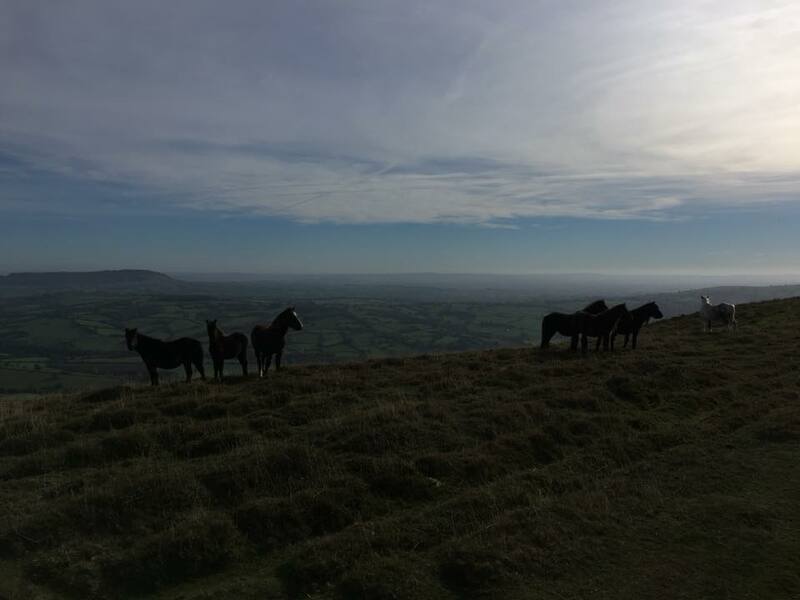 Experience the beautiful Black Mountains with a two- day fully-serviced and guided trail ride to Hay. 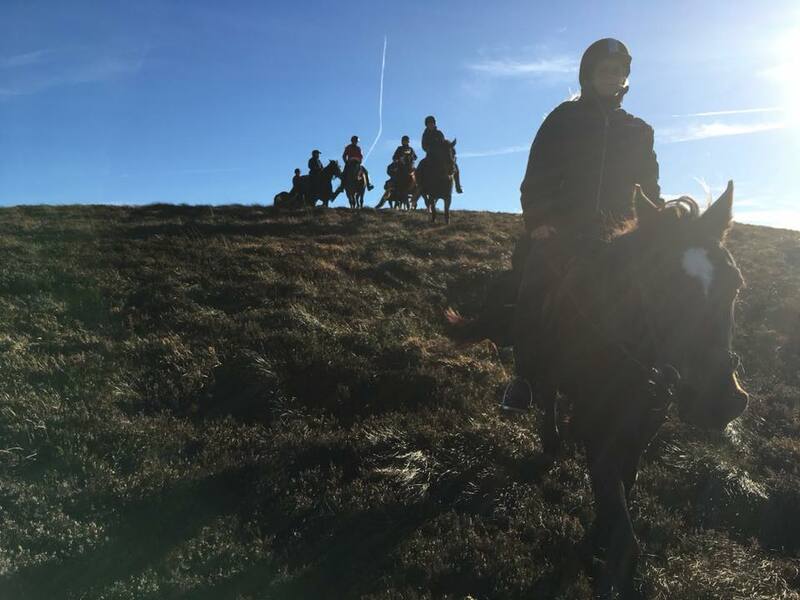 Riders meet at Blaenau at 10am and set off up through country lanes to the vast open commons of the Black Mountains, where you are likely to find yourself cantering alongside wild ponies and sheep.  Arrive in Hay where your luggage has been delivered, and stay overnight at a friendly B&B or small inn, before returning back to Blaenau on a different route. £420 for 2 days, fully inclusive of all meals except dinner on Saturday night, accommodation and two days vehicle-supported and guided trail riding. We can also run this trail ride for any 2 days to suit for groups of 4. COST: £600 three days fully-serviced all-inclusive trail riding (except drinks at dinner), finishing Thursday afternoon after the ride. Additional night dinner, bed and breakfast on Mon and/or Thurs at £80 per person per night when available.